Too hot to go out after work and scout for a photo op. This one is from a long time ago. I want to thank everyone for all your nice comments and fav's and for the special occasions when you push my photos to the Popular Page. Like yesterday! Thank you! Starburst is one of my fav effects, very nice. Autumn is such a beautiful time of the year for me. Nice. I am with you on it being too hot to go out! 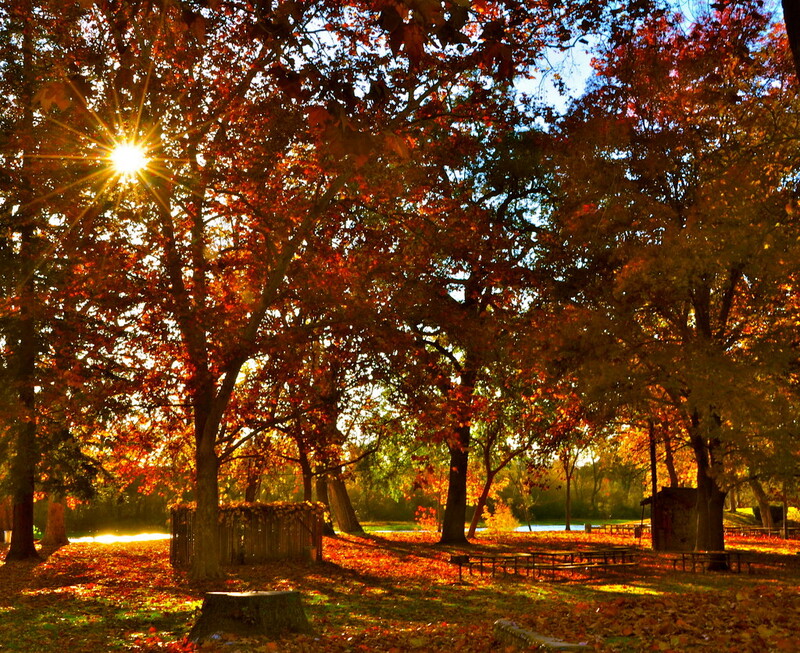 This is a gorgeous fall photo! Gorgeous autumn scene - where is Autumn in the world now, I wonder! @panthora Hi Osia this is a park in central California close to where my family lives. Been going there since I was a kid. Up where my Mom lives they actually have 4 seasons. Lol! Awesome shot. Just dont see colors like that in Fla.
Beautiful sun flare and Autumn colors! Yeah it was hot today. At least a nice breeze came up this evening. Absolutely beautiful shot, Joy! I love the warm, golden colors and the sunburst filtering through the trees. Fav! Oh...at first I thought it was a recent shot and a little early I am looking forward to fall however....some cool down I hope. We are having your weather up here. Luckily not excessive humidity with our triple digits! This is really a lovely capture...the lighitng, layers, colors and textures are perfect! Lovely light and warm colors. Gorgeous light and warmth. Fav.